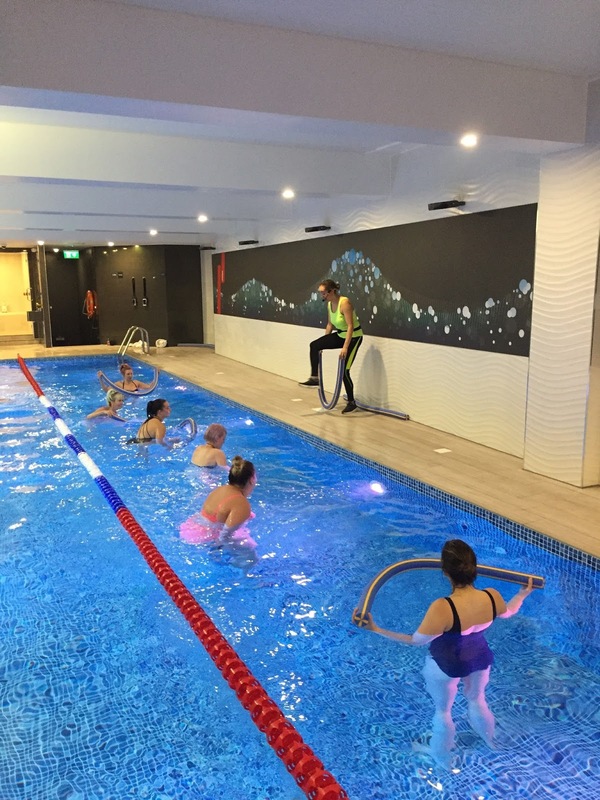 It was recently national women’s health and fitness day and to celebrate I’m going to show my experience at the Fitness First branch in Bishopsgate. Now I am not here to preach on health and size. I want to make that clear now. If you follow me you’ll know I’m very strong on my approach between the so called connections between knowing some ones health by looking at them. I personally love to keep fit and to build my strength both physically and mentally. I really enjoy a weekly spin class that I attend on a Monday evening which keeps my mind in check for the week. It regains my focus and lets me take out any stress or frustrations. I do love to swim and unfortunately don’t get to do it enough. My number one excuse is the distance to where a pool is. 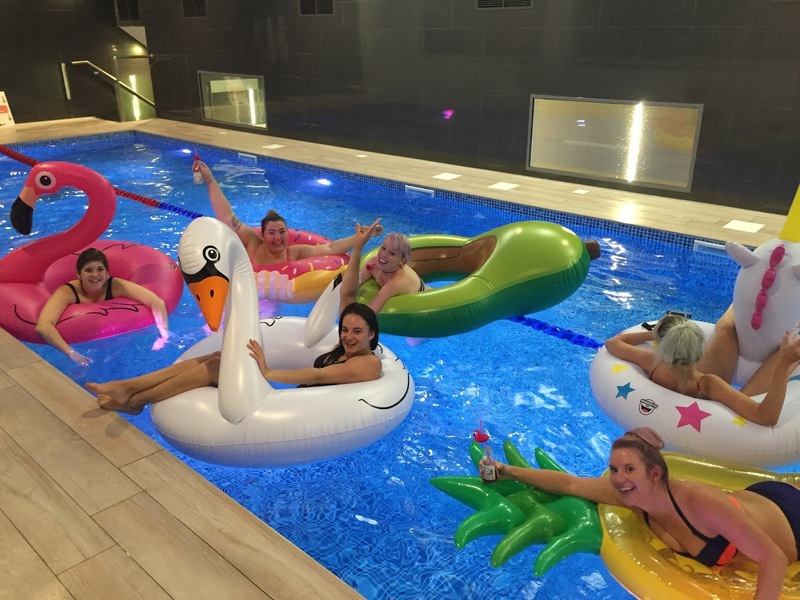 My gym where I spin doesn’t have a pool and not many gyms in London have that added bonus. This is where Fitness first come in. With several gyms dotted around central London the majority (from what I can see) have a pool. 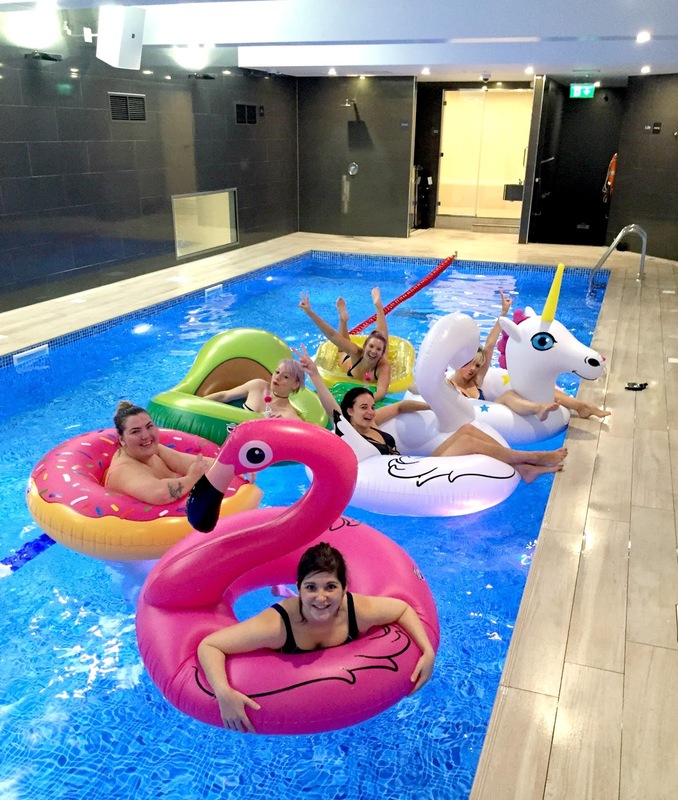 The Bishopsgate branch has just had a brand new pool fitted and I was given the chance to attend a class, with a added one night only pool party after. I used to attend aqua aerobic classes back in Wales and loved them. Being in the water jumping about to music, I felt like I wasn’t exercising but having a disco and boogie in the water. Nothing was too strenuous, and I found I wasn’t fat shamed once. So I was delighted to attend this class and use the facilities. The class was taken by a woman named Desta, who I believe takes classes at Fitness first and other pools across London. We were put to our paces with exercises that used each part of our bodies. It was great to feel comfortable and supported by the tutor and my fellow aerobic ladies. Before our class we were shown the facilities, and not once did I feel judged or shamed. Their spin section looked incredible, and the gym facilities looked maintained and brand spanking new. Their was a fun room tucked away that at the time had a boot camp class in, but we were informed it was studio with video classes taken interactively. The changing room facilities were amazing. Modern, clean and full functional. Hairdryers that worked, shower gel that smelt amazing, just don’t forget a lock to lock shut the lockers. There really wasn’t anything I could say that was bad. I felt comfortable and refreshed after the class and the facilities were amazing. I can’t wait to visit again and use the pool and hopefully other facilities. Keep your eyes peeled on my twitter account this week for a chance to win a fantastic fitness first goodie bag with amazing gifts inside.